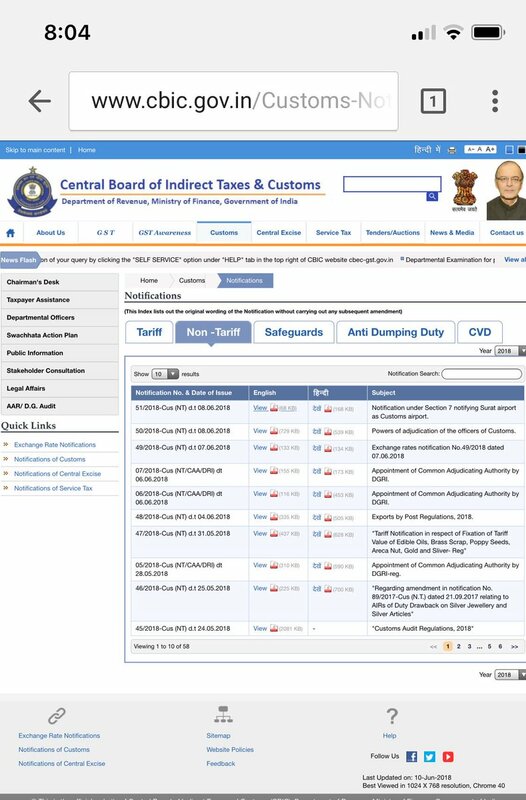 Surat: Ministry of Finance, Government of India has notified Surat airport as customs airport. The announcement to make Surat as limited international airport is likely to be made within a week, said local Lok Sabha member CR Patil who was working on this issue. 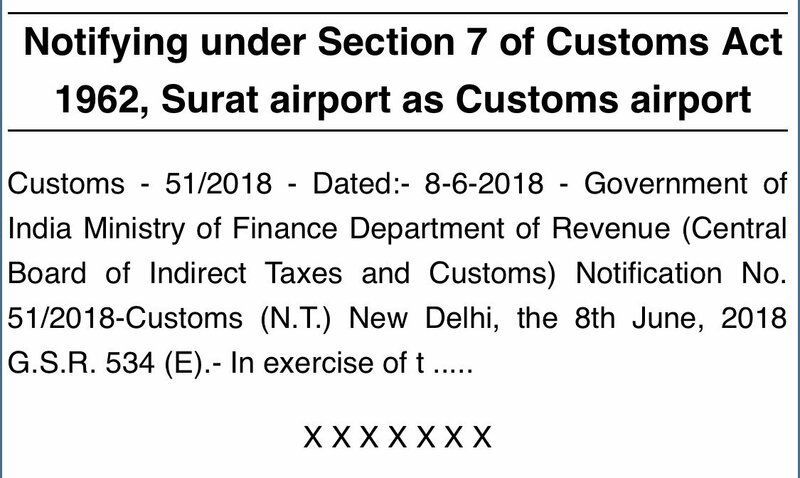 Government of India, ministry of finance, department of revenue (central board f indirect taxes and customs) in its notification on 8th June made announcement to make Surat as custom airport. This will make a way for deployment of custom department staff at Surat airport and screening and other facilities. Once the procedure is over, Surat airport will be able to host international flights. Gujarat government had in its annual budget earmarked Rs 1 crore for setting up immigration facilities at Surat airport. 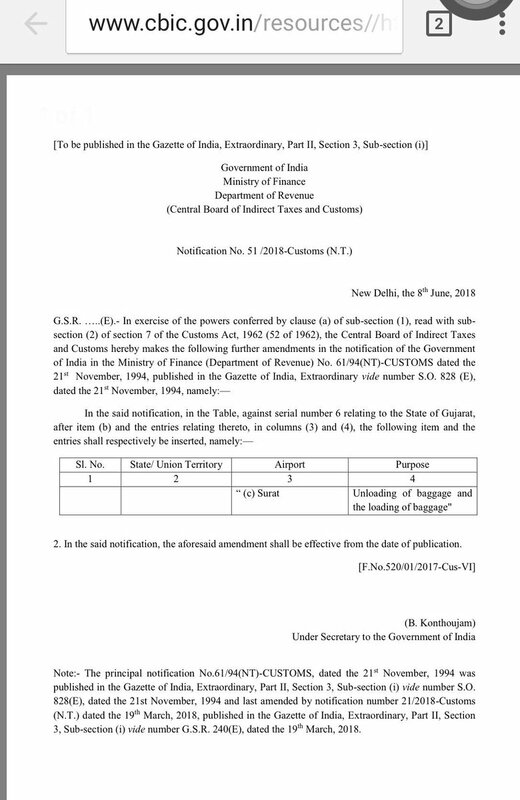 On September 20, 2017, the home department of Gujarat government had asked the DGP to allot 68 immigration staff for the airport in the financial year 2018-19.